There are few novel features of programming languages, but each combination has different properties. The combination of dynamic, hosted, functional, extended Lisp in Clojure gives developers the tools for making effective programs. Less well understood are the ways in which Clojure's unique combination of features can yield a highly effective development process. Over more than a decade, we have developed an effective approach to writing code in Clojure whose power comes from composing many of its key features. As different as Clojure programs are from e.g. Java programs, so to can and should be the development experience. You are not in Kansas anymore! This talk presents a demonstration of the leverage you can get when writing programs in Clojure, with examples, based on my experiences as a core developer of Clojure and Datomic. 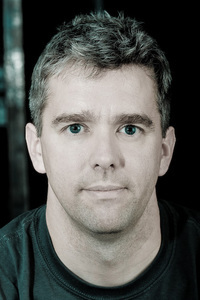 Stuart Halloway is a founder and President of Cognitect (formerly Relevance). He is a Clojure committer, and a developer of the Datomic database. Stuart has spoken at a variety of industry events, including StrangeLoop, Clojure/conj, EuroClojure, ClojureWest, SpeakerConf, QCon, GOTO, OSCON, RailsConf, RubyConf, JavaOne, and NFJS. Stuart has written a number of books and technical articles. Of these, he is most proud of Programming Clojure.